I am loving these feminine belts. Sometimes I want a little flower and bow adornment but not in the form of a bouquet on top of my head. 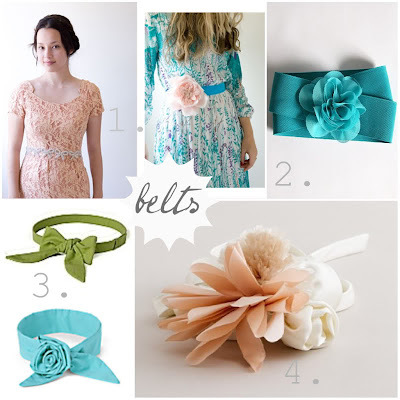 I think putting it on a belt is perfect and would be a fun project to do yourself!